Are you a healer, coach, or similar professional looking for somewhere to serve your clients? It’s hard to find office space that’s peaceful and professional but also affordable. That’s a key reason why Zenquility exists: so that practitioners can benefit from shared resources. Our private rooms are available for guest practitioners like you to rent on a recurring basis for your private sessions. You and your clients will benefit from the convenient location (adjacent to Route 29 and I-66) and warm, peaceful office space as well as the hospitality of our Front Desk team. Meanwhile, you’ll get to run your business the way that you want to, marketing under your brand and attracting clients you resonate with. To get the conversation started, please fill out the form below. Once we’ve read over your info, we’ll be in touch to discuss next steps. 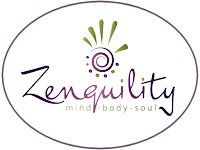 Tell me about the services you'd like to offer at Zenquility. Include the modalities that you work in, and think in terms of not just individual services but also workshops or group programs you've either offered before or could see yourself doing, if any. How long have you been a practitioner, and where else have you worked? What do you see as the benefits of working at a place like Zenquility?